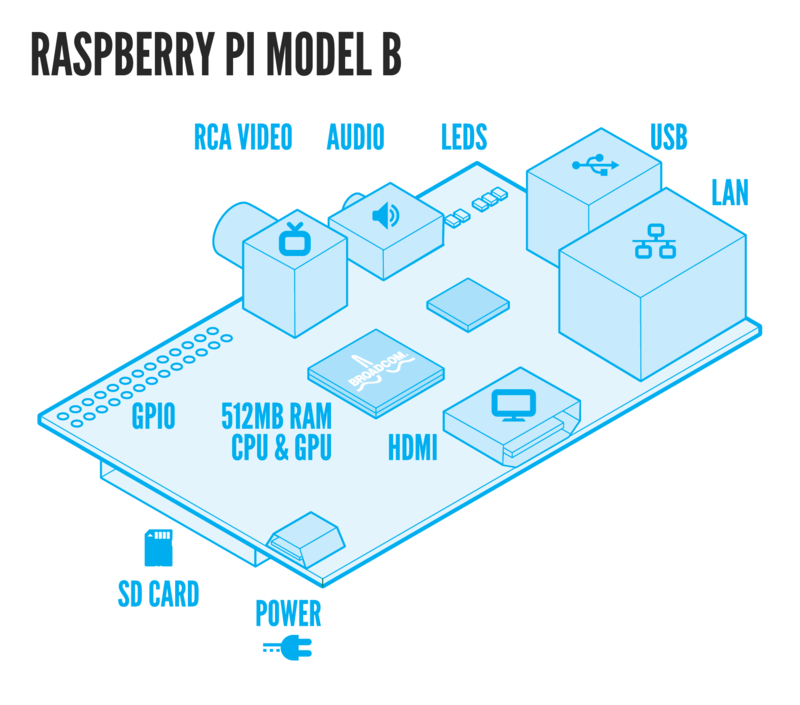 I bought a Raspberry Pi Model B (http://www.raspberrypi.org/wp-content/uploads/2011/07/RaspiModelB.png) so I could have fun playing with it. My main play item was OwnCloud (http://owncloud.org/) because I wanted to have an online backup of my files under my control. Uploading files to Dropbox, SugarSync, or SkyDrive is great but when you realize that your files are now readable by anyone at those companies or by any hacker that gets access, one kinda wishes they had more control over their files. OwnCloud is the solution. The OwnCloud client is available on Windows, Mac, Linux, Android, and iOS so you can get your files pretty much anywhere. The OwnCloud server runs off of the Raspberry Pi after you install it. The Windows and Linux clients are good. The first time doing a sync will be confusing because it is different than Dropbox since you need to specific which remote folder will sync with which local folder. The Windows client shows current upload sync and progress while the Linux one just shows syncing or complete, but I am sure they will update the Linux client. The Android client is slick. InstantUpload of pictures works nicely, uploading files works great, and viewing the files in your OwnCloud is easy. It is $1 but that is not much for getting your files on the fly. The server client is great but I should have used an old laptop instead of the RaspPi. There are too many processes running on the tiny RaspPi (uploading and downloading files, hosting web pages) causing it to run noticeably slow. To address the performance issue, I decided to sync only my active files instead of all my music, pictures, videos, and documents. The performance now is at a reasonable level. I love that one can set up user accounts and have as much storage as they want to purchase. A small caveat though is that the toughest part for me was telling the Apache server to store my files onto my external hard drive and not the local SD Card. Overall, the OwnCloud is best for someone who wants to control their “own cloud” and the RaspPi is best for a quick way to get started. Though, do not expect to push the limits that far. This entry was posted in Nextcloud/OwnCloud, Reviews and tagged review. Bookmark the permalink.